We’ve just had a quick mini-holiday to round off the school Easter holidays. I say “mini-holiday” but I might be exaggerating things a bit. We were actually only away from home the one night, but squeezing in a bit of fun around B’s work trip to the Isle of Wight felt like a perfect little holiday and certainly recharged my batteries. There’s so much to share about our trip (which will be happening very, very soon, over on my new travel blog) but the main thing I’m focussing on today is what it felt like when we got back. B and I have been lucky enough to travel loads in the time that we’ve been living together, but this week’s little adventure was the first time since we moved house and it’s felt very different. There’s no way that our new house is sorted yet. The living room still seems to be full of boxes, and three quarters of the garage at our old rented flat still needs to be cleared, but it is most definitely our home now and every day we’re making more and more little steps towards making it the perfect family home that we’ve been dreaming of for all these months. 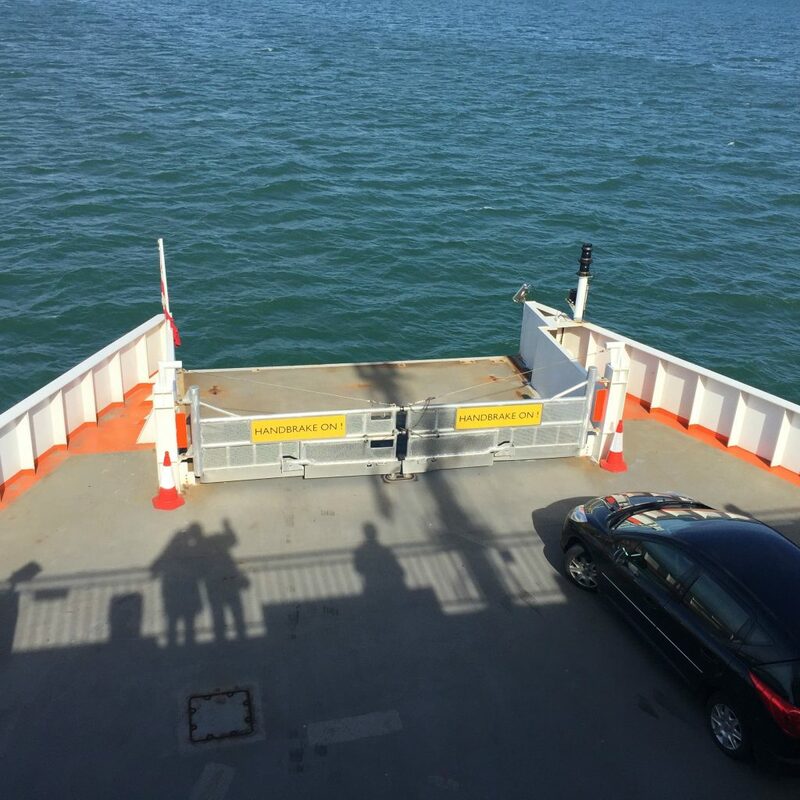 As we headed back on the ferry over the Solent yesterday as well as feeling a little bit sad that our trip was drawing to a close, I also felt completely refreshed and looking forward to going home. I’d not realised just how much moving had physically and mentally taken it out of me, but a bit of us time and relaxation has made a huge difference. And that’s the thing. For the first time in months, possibly longer, I realise that I now have somewhere to live that properly feels like a home. We may not have made it perfect yet, but a home isn’t just made by the state of the decor the possessions you have in it. It’s made with people and love. We always said that we wanted a home full of love and happiness and that’s exactly what it felt like we came home to last night. This week’s challenge is just make make it a little bit of a tidier home!